The Lounge is a brand new refreshing concept, decorated with vibrant colors creating a homely atmosphere. The menu is large, imaginative and satisfying, offering a range of the freshest dishes incorporating modern twists and flavours. The sisha is a must-try. 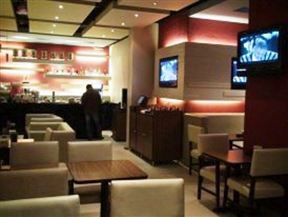 The Lounge is 0.6km from the centre of Heliopolis , the nearest airport 2896.6km (Lokichoggio Airport).